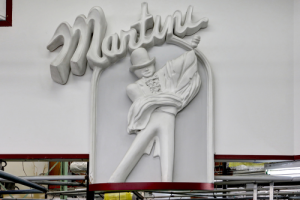 Martini Cleaners has been operating since at least 1964. Jack and Jane Crooks operated the business from 1970 until 1980, when Cliff and Judy Caughron purchased and operated the business. Cliff and Judy lived in the apartment above the cleaners, where they raised their family of five children, who grew up in, and participated in the operation of the business! In 2016, Cliff and Judy retired, and the current owners retained the entire talented and caring staff. 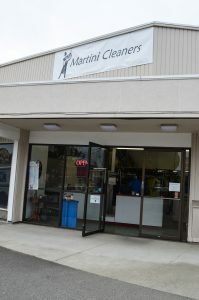 We have sought to maintain the focus on customer service and quality throughout our transition, thus keeping Martini Cleaners the premiere dry cleaners in Burien. As a local, family owned business, we believe it is important to lead the way in the use of products that are safe and have minimal impact on the environmental. We have recently changed our dry cleaning from traditional dry cleaning fluid, “Perc”, to a Hydrocarbon based fluid. Perc has been identified as a carcinogen, and while no fluid remains in the clothes we clean, there is a small risk to our staff, and the environment. Hydrocarbon based fluids are healthier and have less impact on the environment. 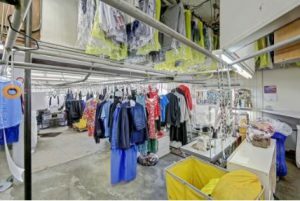 Martini Cleaners offers a wide array of high quality services at affordable prices, ensuring your needs are met with the highest standards in dry cleaning, laundering and alterations. We pride ourselves on our quality and service. All work is done at our location.